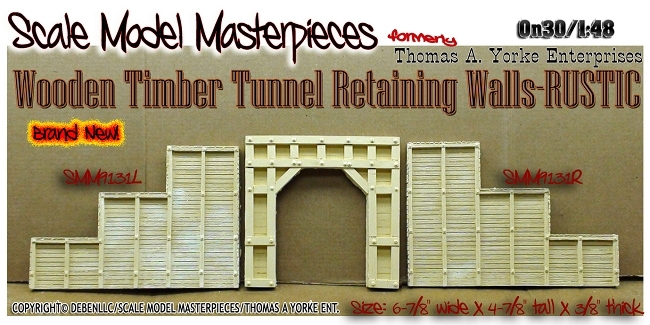 As a single component of Scale Model Masterpieces, the Timber Tunnel Portal is an original master creation by masterful modeler Scott Perry. Labstone casting includes detail wood grains (not too much) and NBW (nut, bolt & washer) castings molded in place. And all you have to do is stain with Doctor Ben's and install! Really, you don't know a really easy and fast way to stain resin & LabStone castings? Just Ask Doctor Ben! 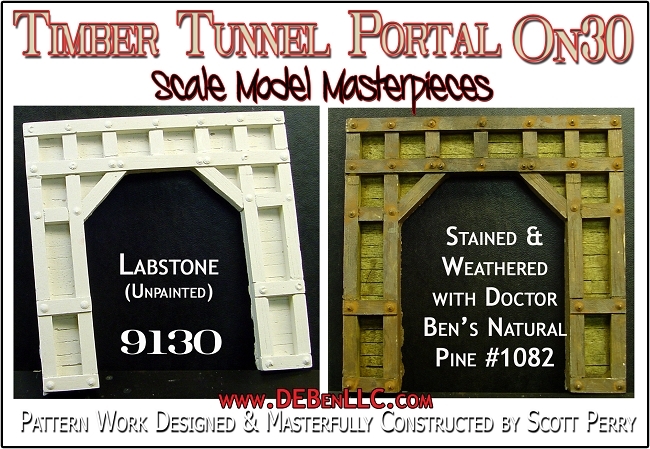 The overall dimensions of this Tunnel Portal are 4.875" wide by 4.875" tall and 1/2" thick. The NMRA Standards opening is 3.75" tall by 2 15/16" wide. Need Retaining Walls, too? We have them! Need a turntable pit? We have those too! Check our store.